Having photographed over 100 of the Cakeway to the West cakes (you can see all of my cakes on Pinterest) placed in honor of the 250th anniversary of the founding of St. Louis, I have some tips to share that might make your cake hunt a little easier. First and foremost, check the stl250.org website frequently. Not only are new cakes still being added (to date, 234 cakes have been installed), some cakes have been relocated. 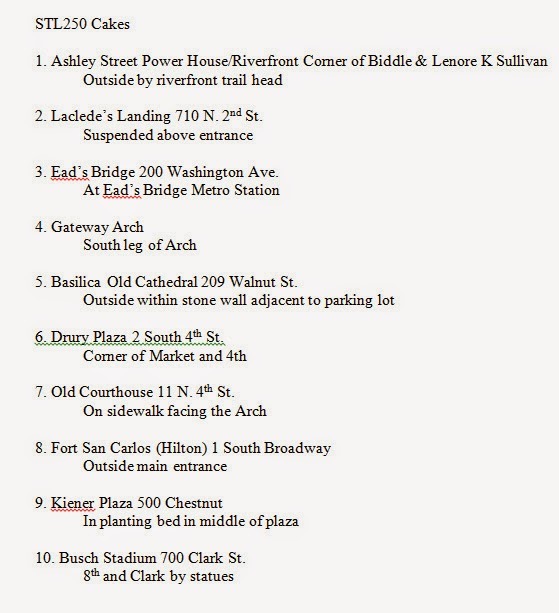 The list is available in an Exel file or PDF format, as well as my favorite - a locator map. There is also a phone app that you can download for free. Nearly all of the cakes on the list have active links, so be sure to check those out to learn more about the areas where the cakes are located. Pay attention to the "Location on Site" column shown on the list. It is very helpful to know exactly where you can find the cake. Also, some of the cakes are indoors or behind gates, so you need to be aware of the operating hours of the facility housing the cake. It is very frustrating to arrive on site only to find that the business is closed on Saturdays or holidays. While the "Location on Site" listing is pretty accurate, it is not always 100% correct. For example, the cake at the Museum of Transportation is actually located by the upper parking lot, not the lower lot. If you don't find the cake, go inside the building on site (if there is one) and ask. Businesses nearby may know the location as well. Plan your trips around the activities of the area, if possible. As an example, going to see the cakes around Clayton was a breeze on a Sunday, whereas heading there during the week would have been a lot trickier with all of the businesses and government offices open. I had no problem finding parking on a Sunday. Make sure to enjoy all sides of the cake, not just the front. Many of them are rich in detail, so take time to study the whole cake. Finally, here is an organization tip that has worked well for me. I use the locator map on the stl250.org website and zoom in on the area I plan on photographing. Then I do a screen capture of the map, opening it in a photo editing program to crop it to size. I save the map as a JPG, print it out, and number the locator dots I want to go see. I create a Word document with corresponding numbers, listing the name of each cake along with its address and location on the site. I take the map and the Word document with me when I go out to shoot, making the most of each trip. Have fun with this - it truly is a once in a lifetime experience, and an opportunity to get to learn more about the St. Louis area. What tips do you have to share? Appomattox Court House (which is a village, not just a building) was our destination of choice on Monday. Located about 2 hours southwest of Richmond, McLean House in the town is the location of Lee's surrender to Grant on April 9, 1865. While the house itself had been dismantled in 1893 with the hope of being reconstructed in Washington, D.C., that never happened and the remains of the building disappeared. However, with photos and plans the house was rebuilt on its original foundation in the 1940s. Several of the other buildings in the area are original to the town. They have recreated the area to appear mostly as it would have looked in April of 1865, and it really gives you a sense of what life would have been like in the time period of the Civil War. From Appomattox we drove an hour and a half back east to Petersburg, Virginia. Located south of Richmond, we wanted to see the Blandford Cemetery where my Bolling ancestors (I believe them to be mine) are buried. I have to admit that it was quite strange to see Confederate flags on the graves. The oldest stone, dated 1702, is that of Richard Yarbrough. Veterans of every war are buried there, including Colonel Robert Bolling. But most significant perhaps are the 30,000 confederate soldiers who died in the Siege of Petersburg in 1864-1865. 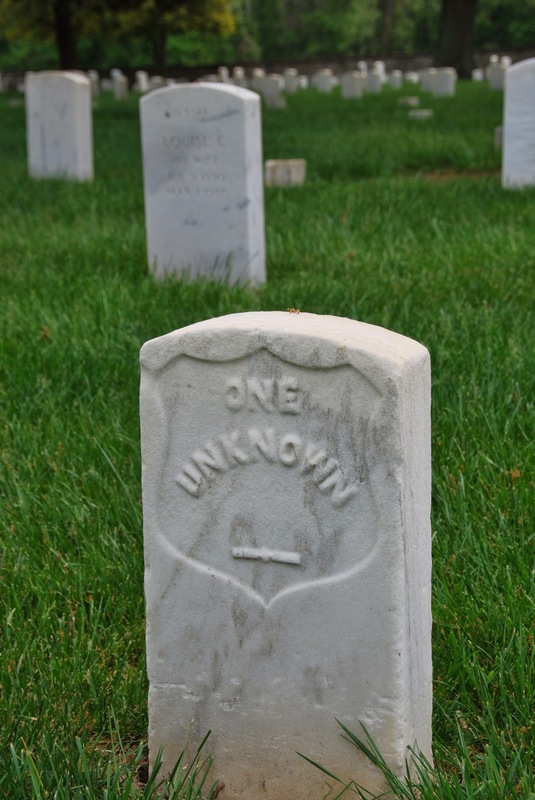 At 189 acres, Blandford is the second largest cemetery in Virginia, behind Arlington National Cemetery. Unfortunately the church was closed, as we would have loved to see the 16 Tiffany stained glass windows inside. Also located in Petersburg is Centre Hill, a mansion built by Robert Bolling IV in 1827. He was a Revolutionary War veteran. 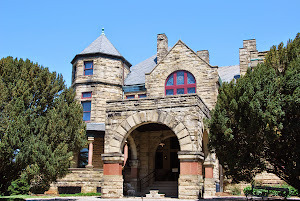 Now a museum, which was closed at the time we arrived, it remained a residence until 1936. 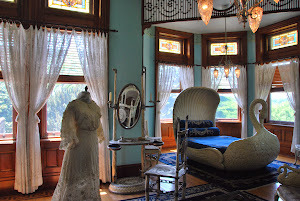 While a home, it was visited by two Presidents - Lincoln and Taft. It served as Union headquarters during the Siege of Petersburg, fought from June 9, 1864, to March 25, 1865. President Lincoln met at the house on April 7, 1865, just seven days before he was assassinated. Robert Buckner Bolling, the current owner, was not there at the time, as he was at his country estate in northern Virginia. Tuesday we visited Montpelier, the home of James and Dolley Madison. 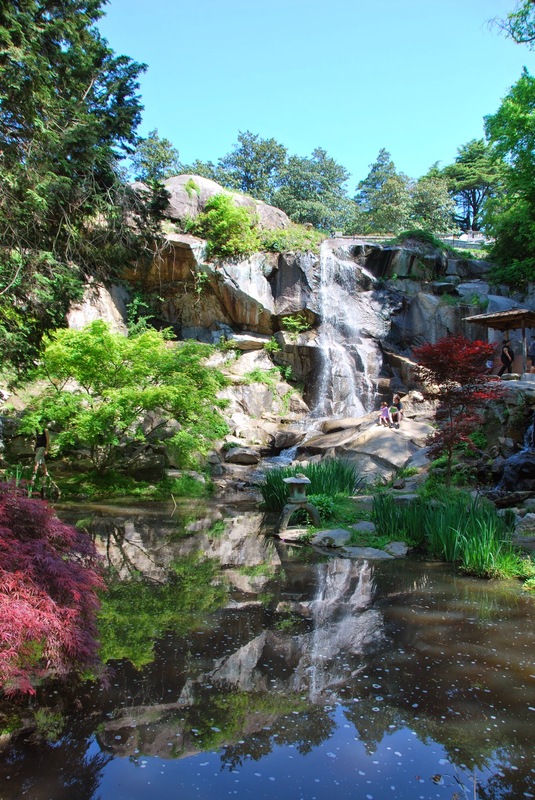 Located in Orange County, this drive took us 75 miles northwest of Richmond. Following a short film discussing the accomplishments of Madison as the architect of the Constitution, we had a fantastic tour guide walking us through the mansion. We then strolled through the gardens and saw the family cemetery. From Montpelier we returned to Richmond, where we checked into the hotel where I spent the next four nights while attending the National Genealogical Society conference. Before Jim took off to Washington, DC for his motorcycle trip, we walked down to see the capitol building and governor's mansion. Jim met back up with me on Saturday, and before we went to the airport we visited Hollywood Cemetery. 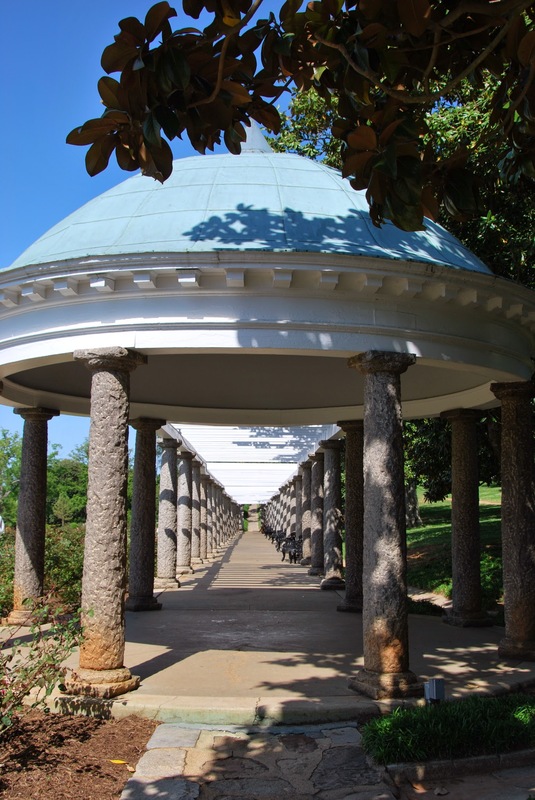 Set on 135 acres overlooking the James River, this cemetery is the final resting place of 18,000 Civil War soldiers as well as President James Monroe, President John Tyler, Confederate President Jefferson Davis and 22 Confederate generals. The first burial in the cemetery was an infant in 1849. This was a great trip, filled with history, research and new genealogy tips and tricks. A win-win-win. Currently I am in Richmond for the National Genealogical Society annual conference. Jim came with me for the first part of the trip, and we flew out here last Friday. Our son and daughter-in-law also joined us last weekend, so we stayed at a Residence Inn booking one of their two bedroom suites. It was nice to have a place to gather in the evenings and as we were planning our day. 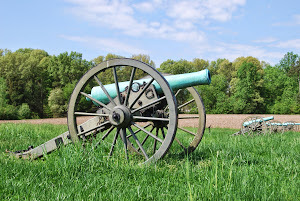 On Saturday morning we drove to the Malvern Hill Battlefield, where three different wars had been fought, the most recent being a seven day battle during the Civil War. 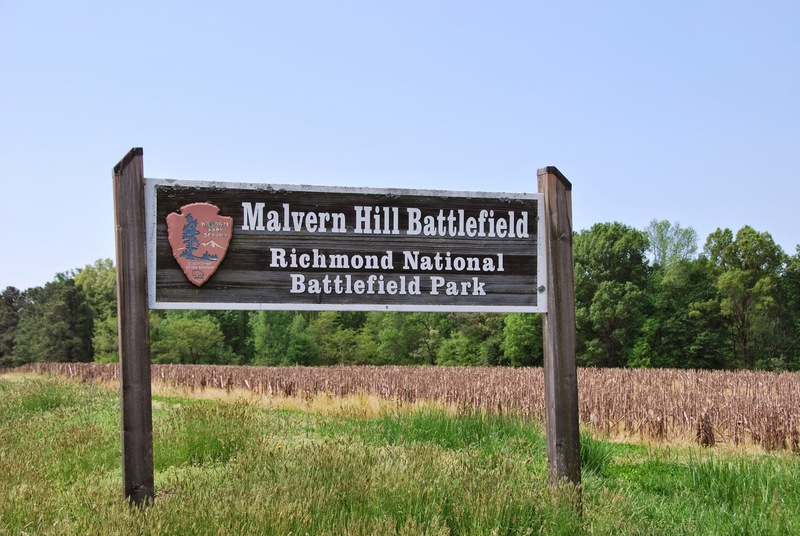 I was interested in Malvern Hill because the property was once owned by Richard Cocke, possibly my 9th great-grandfather. 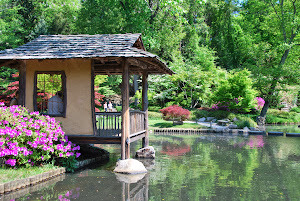 He left the land to his son Thomas, who built a house there in the mid to late 1600's. I had read that there were some still some remains of the home on the grounds. We drove around the area, but never did see remnants of the house. 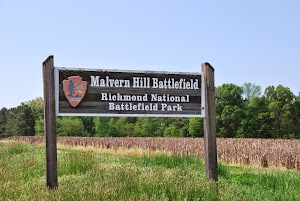 We did find the Malvern Hill National Battlefield Cemetery, however. Unfortunately the office there was closed, because they probably could have given me more information on the family and the house. We decided to head over to the American Civil War Museum at Tredegar to see if they could shed any light on Malvern Hill. When I approached the desk and explained what I was looking for, they suggested I go upstairs and talk to Ranger Mike. At the top of the steps I asked the man behind the counter if he was Mike, and he said no but perhaps he could help me. I told him I was looking for information about Malvern Hill because I believe I am descended from the Cocke family. He looked surprised, and said, "Well, then we are cousins because I am a descendant as well!" How about that? As we talked about names in the tree, it became obvious that we are referring to the same family. Ranger Mike joined us and told us what he knows about the Cocke family. The house remains are on private land, so that is why we couldn't find them. 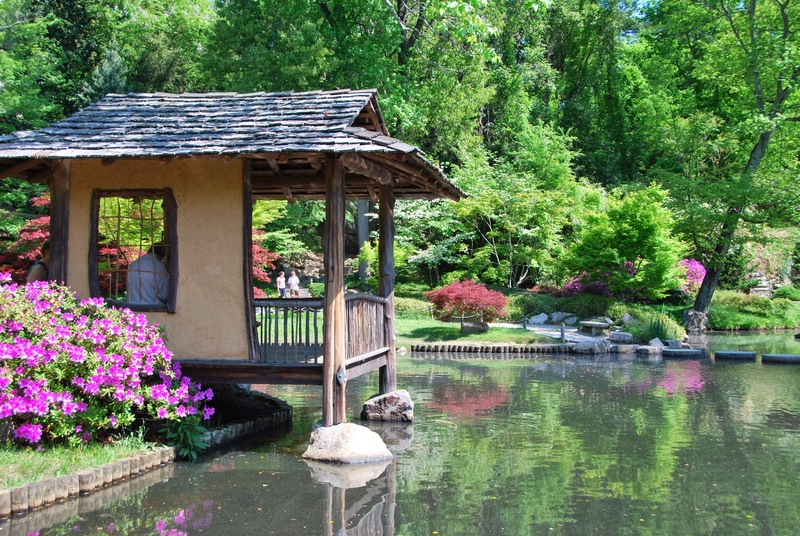 On Sunday after breakfast we drove to the Maymont Estate. 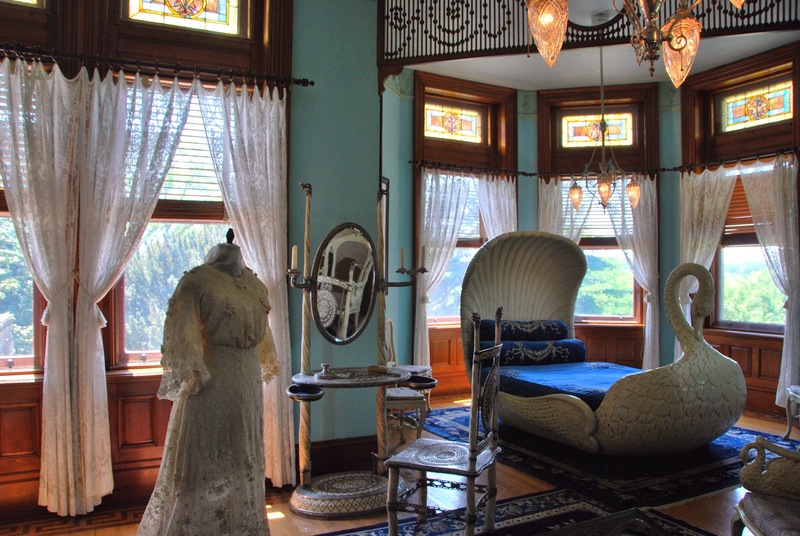 Located on 100 acres, this Richmond area mansion was given to the city by James and Sallie Dooley upon their deaths. James was an Irish immigrant who made his fortune rebuilding the railroads after the destruction of the Civil War. 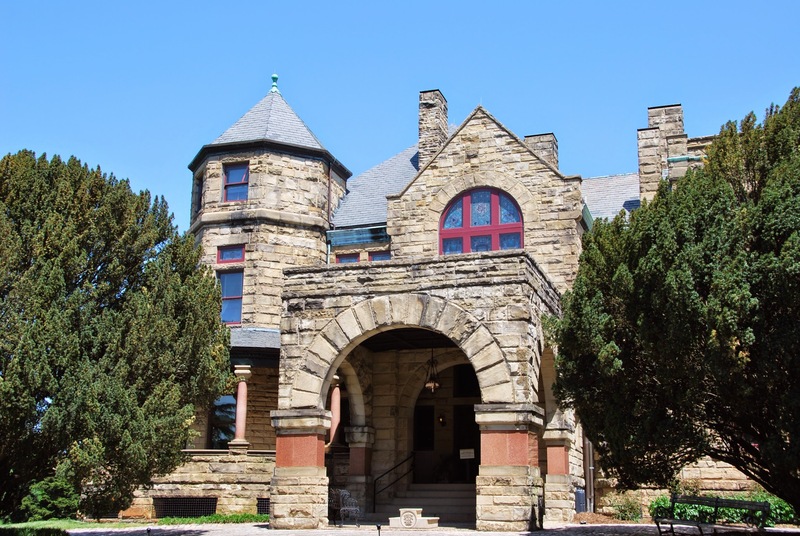 In addition to the beautiful house, there are numerous gardens, a nature center, a children's farm and wildlife exhibits. And it is all free, with a suggested donation of $5 per person for a tour of the house. Amazing! After the garden tour, the kids had to take off to head home and get ready for work the next day, so Jim and I grabbed lunch and then drove into downtown Richmond in the hopes of seeing some of the sites there. Unfortunately, there was a huge bike race going on and we got caught up in traffic like I haven't seen before. Over 400 cyclists were here for the US National Collegiate Road National Championships, and we could not seem to get away from the road closures and back ups. We decided to bail on the idea of touring that day, and we headed back out of town towards our hotel. It was a great two days otherwise!